No other facility in the world has conducted more safety tests on school bus seats and child products than CAPE. CAPE was created by IMMI, a company dedicated to Bringing Safety to People. Over the last 40 years, IMMI has been behind some of the most important innovations in child seating, and built CAPE, in part, to put those innovations to the test. 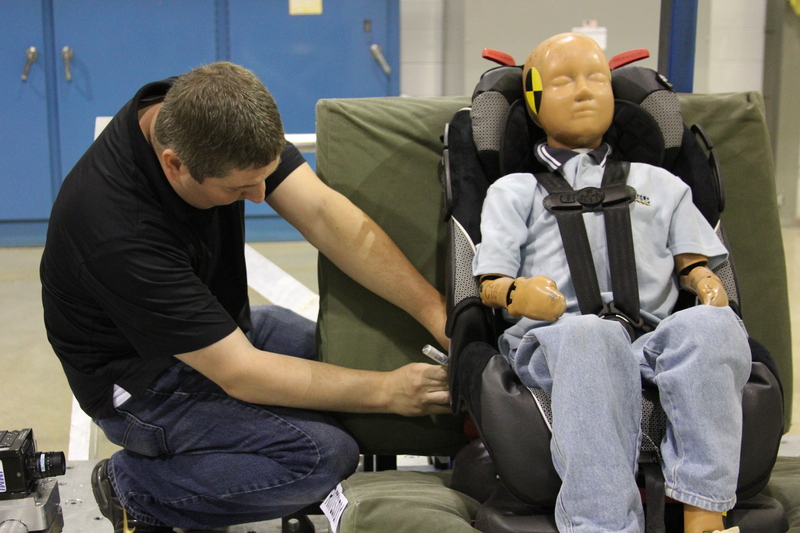 As a supplier to the leading child seating manufacturers, IMMI’s relationship and proximity to CAPE enables our engineers to provide on-site assistance during customer tests, if desired. For example: Have a harness that’s too short? IMMI has the part to fix it so testing can continue, and your valuable time will not be wasted. 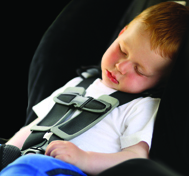 Our Servo Hydraulic Sled enables extremely accurate pulse correlation with the ability to quickly change pulses, providing accurate, efficient, and affordable results for testing child safety seats and restraints. This sled also makes CAPE a great facility for design testing. In addition to our widely regarded sled testing, CAPE is pleased to offer mechanical testing. Pendulum, tensile strength, quality, and environmental testing are all at your disposal, as well as a number of ATDs ranging in sizes from 7.5 lbs to 223 lbs., and an on-site fabrication shop. Click here to see a complete list of child-sized ATDs, and click here to see a complete list of Adult-sized ATDs. We can help you test to a number of standards: FMVSS 213, CMVSS 213, ECE R44, AS/NZ 1754, IIHS Impact Testing, and litigation reconstruction.